A lightweight moisturiser for long-lasting hydration that works to nourish and soothe the skin while helping to provide protection from environmental pollution. Mineral-rich Birch Sap and Hyaluronic Acid help maintain optimum levels of moisture, while antioxidant Vitamin E, Wheatgerm and Canola help protect, soothe and replenish. Suitable for all skin types, especially dry or dehydrated. 1. After cleansing apply 1-2 pumps morning and evening. 2. 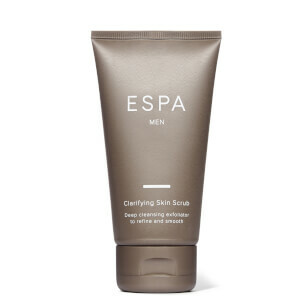 Press gently onto face and neck and smooth into skin fully absorbed. 3. 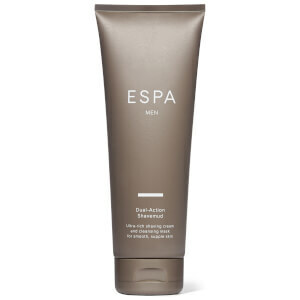 To enhance the benefits, use with your preferred ESPA eye moisturiser. Water (Aqua), Macadamia Ternifolia Seed Oil, Squalane, Methyl Glucose Sesquistearate, Glycerin, Triticum Vulgare (Wheat) Germ Oil, Canola Oil, Hamamelis Virginiana (Witch Hazel) Water, Phenoxyethanol, Sorbitol, Betula Alba Juice, Sodium PCA, Limonene, Sclerotium Gum, Tocopherol, Glyceryl Stearate SE, Stearyl Alcohol, Alcohol Denat., Sodium Lactate, Aloe Barbadensis Leaf Juice, C12-16 Alcohols, Citrus Aurantium Amara (Bitter Orange) Leaf/Twig Oil, Citrus Aurantium Bergamia (Bergamot) Fruit Oil, Citrus Sinensis (Orange) Peel Extract, Pinus Nigra Bud/Needle Extract, Pogostemon Cablin Leaf Oil, Helianthus Annuus (Sunflower) Seed Oil, Benzoic Acid, Linalool, Palmitic Acid, Citrus Limon (Lemon) Peel Oil, Dehydroacetic Acid, Lecithin, Phytic Acid, Zingiber Officinale (Ginger) Root Oil, Ethylhexylglycerin, Sodium Hyaluronate, Caprylyl Glycol, Geraniol, Citral, Potassium Sorbate, Citric Acid. My partner has very sensitive skin and post shave, most products irritate his skin further. With a little (lots of) persuasion, he tried The Hydrator. Now not only is his skin very soft, but he also smells divine! For a Russian weight lifter, the phrase 'Ohh I smell like a spa' doesn't pass his lips often!! My husband works outside quite often and feels it protects his skin from the elements. 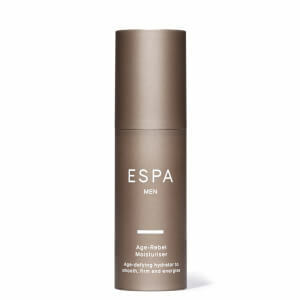 He finds it easy to use in the pump action packaging and says that it makes his skin feel soft and moisturised throughout the day.